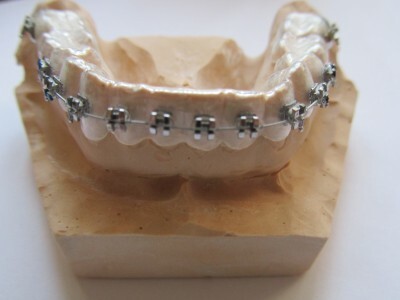 Product information "Clear Retainer with Brackets"
A clear retainer with brackets, that can be used as fake braces, for example in film production, theater or for demonstration purposes. 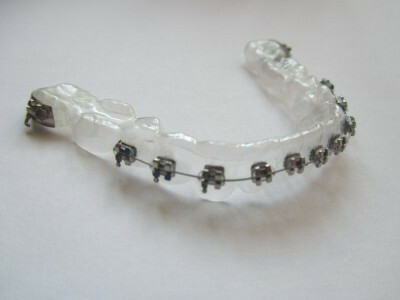 Looks just like real fixed braces from outside when worn. 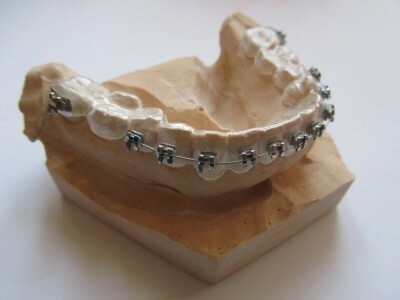 The photo shows a lower jaw splint.